No matter how successful a beauty brand is, there was a day when there was nothing but only a concept. It’s easy to look at beauty products that have successfully established themselves on the world stage and think that they started big. However, the reality is that there was a day when the people behind the brand took a leap of faith and decided to run with their idea. They had to start somewhere. Hence if you have an idea to start a company that sells beauty products, you may want to make a online website as a launch pad for your business. If starting an online website was so easy, then why is everybody not doing it? – You may ask. The truth is that no one is suggesting that it would be easy. Of course, creating your own products and making an online platform is a huge step yet not the final one. In every brand that managed to get success, there is a whole bunch of work behind, lots of mistakes and lots of hours of working towards the goal. However, no one is suggesting that it is impossible either. Below, are some ideas which could help you build a beauty business website from scratch. There is a common saying which goes along the lines that if you do what you love, you will never work a single day in your life again. But how does doing work that you love have to do with building a successful beauty brand online? The success of your online business will depend on your ability to nature it even during those times when you feel discouraged. You have probably heard about people who love what they do to the extent that they would vow they can work in that field without being paid. This is exactly what passion will do for your online beauty brand. In the beginning, there will be many times when you will feel like giving up but the truth is that if you are passionate about what you are doing, you will always find the reasons to stay. Once you have determined that the beauty business is certainly the area that you want to be in, the real work will start. Initially, you’ll have to find a platform where you will host your website. Gone are the days when the only people that could have websites are those who had intricate coding skills or money to pay someone else to code for them. Nowadays, you can use custom templates, created specifically for different industries. The process of identifying a platform should start by you defining your goals. For instance, a platform that successfully sells holiday destinations may not be the right one for a beauty brand. Define exactly what you need the website to do for you. What is more important to you, do you want it to support high-quality photographs, or do you want it to have a lot of advice? (However, it is better to choose the one would cover all your needs, not just some). Once you have decided on this, you can then start looking for a platform that will give you what you are looking for. Never allow the site that will host your products to make you bend over backward in order to fit within a limited number of templates. Whoever said simplicity is the ultimate sophistication had a point. When you consider simplicity, you should think of two important stakeholders: yourself and your customers. You should be able to navigate your website with ease when you showcase your products and post content. Even though you can easily host your website on a fairly complicated site and hire someone to manage it for you, the reality is that in the beginning, your business may not afford this. As the business grows and you begin to focus on other things, you can easily hire a team to provide content and manage interaction with your customers. In the beginning, investing time in knowing your target market may look like an activity that takes your valuable time but you will notice that trying to target a market you do not know well could waste even more time. Knowing the market will allow you to understand the products your customers are looking for. You will know their buying power and the quality of beauty products they can afford. How do you get to know the customer? You could collect data from the people visiting your website. One of the best ways of doing this is offering something of value in exchange for contact details. Many businesses offer e-Books to customers who provide their details. You may offer a discount or some other incentive for anyone who leaves their emails address so that you could contact them when you have special offers and new products. Good content is a currency. This is the reason why many businesses have become successful from selling nothing but just good content. As someone who will be running a beauty business website, you may provide content linked to the beauty industry. Creating great content requires a lot of dedication and skill. If you believe that you do not have the dexterity to create the content, you can always find someone to do it for you. There are several websites where you can hire generally affordable writers who understand how to use content to attract customers to a website. What does the content have in common with a beauty product? Nowadays, you won’t be able to get popular without running an account on Instagram and other social medias. Once you promote your product, you want people not only to see what you want to sell them but also to read how good your product is, how passionate you are when creating it, how easy it can substitute the products people use now and why they need to try it. Tell people everything you know about the industry so visitors become charmed by your passion as well. Share some tips that come in handy to everyone so visitors want to share this content as well. Great content can do miracles. You need to ensure that the content can be spread easily. This is where a good social media strategy becomes handy. Visitors to your beauty website should be able to share the content they like through their social media pages. Don’t just expect them to share: ask them. 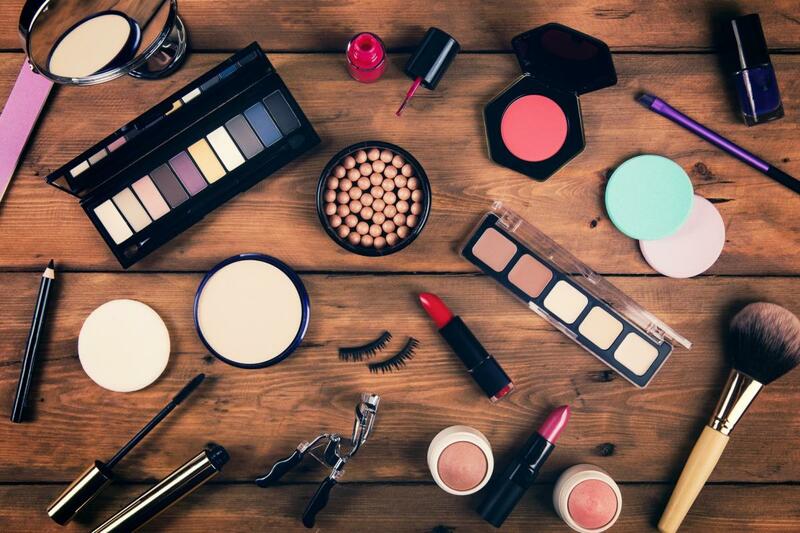 Creating a beauty brand online will not necessarily be a guarantee for instant success. However, if you’re truly passionate about what you’re doing, you select the right platform to host your site, and create the right content your brand is likely to grow over time. The internet will spread your products to places you have never even heard of. Who knows, one day you may be the owner of a successful beauty brand that everyone will want to be associated with.